Catalyst Atlanta once again opens up with Andy Stanley. He’s the senior pastor of North Point Ministries and the author of Ask It! We’ve all experienced an awakening of wonder at some point in our lives. For men and women, it’s typically different. For men, it’s when we walked outside one day and BOOM! We saw the girl next door and we experienced her beauty, we smelled scents that we never smelled before. Wonder was awakened. For women, it happened when they were walking down the mall. That same store that was passed by multiple times or your mother dragged you into suddenly lit up as you saw that pair of shoes. Wonder was awakened. Then, there was the wonder of babies being born, coming to faith, realizing God loves us unconditionally. Wonder was awakened. Something magical happens when the wonder is awakened. When wonder is awakened, we are suddenly aware of what is is not all there is. Unfortunately, it seems everything conspires against us to shutter wonder. Our parents, our spouses, our work, and even our churches conspire to deaden wonder. It’s horrific! Then, there are those special people who walk into our lives. They live like wonder is always near. It’s like they’re living in their own world. 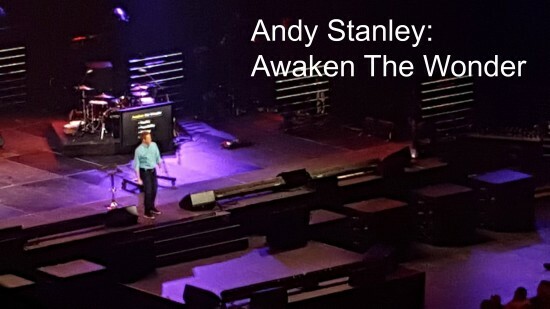 For Andy Stanley, it was his father. His father encouraged him to pray that God would show him what He had in store for Andy. And to never settle for what the world tells us is acceptable. Wonder dies, but it can be reborn. Surround yourself with people who are aware of the wonder of the world. There’s also the possibility of having mentors who will awaken the wonder. These people ask GREAT questions. Wonder wakers ask questions that birth wonder. Do you have someone who asks you what you’re working on that is big? Have you noticed that when you bring your new, wonderous idea to your boss, your organization, your spouse, or even friends, that people are put off? Here’s why: It is human nature to resist what we don’t understand or can’t control. People are freaked out man! Can you dig it? I know I understand this message. Not knowing what’s ahead is scary. We don’t like change or new things. It brings about fear. But wonder can break through this. To awaken wonder, you’ve got to keep wonder wide-awake in you: How can you allow wonder to bubble up in others when you’re shutting out wonder in your life? 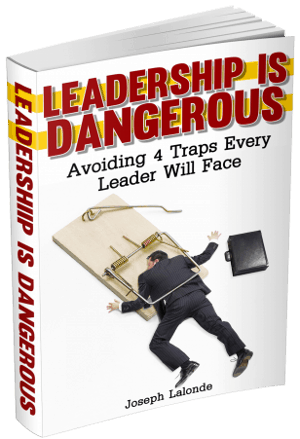 What we allow or disallow in our lives, we do the same in the lives of those we lead. Do you take the time out to listen to those who disagree with you? Do you wonder why the church has been considered judgemental and critical? It’s because we are. And we fail to listen to those we disagree with. We’re not listening when we are stating our case. Rather, we’ve surrounded ourselves with the uh-huhs and Amens that show agreement. Is it time to listen to someone you disagree with? To awaken the wonder, you’ve got to replace HOW with WOW! : Wonder thrives in a culture of WOW. Wonder doesn’t thrive in a culture of HOW. You see this happen all the time. When you bring your idea before the board of your organization, they HOW your idea to death. Question after question of HOW, brings the ideas down. Eventually, the idea is dead because of HOW. By adding this phrase, we begin to think and create new possibilities. Imagine what would happen in the church if people began to think of the church as the place of imagination. Imagine what would happen in the world if we stopped being critics. Imagine what would happen if we changed our business model. Imagining adds a new context to our thought lives. Give it a shot.